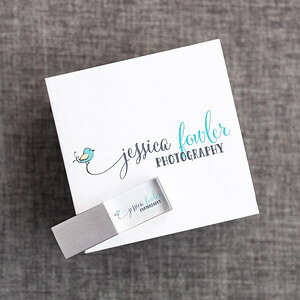 Any packages can be upgraded to the Jessica Fowler Photography 8GB* USB with boutique gift box for just $50. (excludes weddings as this is included in all wedding packages). Bring it with you to every session and you'll receive $25 off of your fee! This is a great way to keep your family's professional images in the same place, year after year! Includes a 60 minute session & an online viewing gallery with ALL of your best images that are yours to keep, print & download! Portrait sessions are geared for children, family, couples and just because. Includes a 120 - 180 minute session and an online viewing gallery with ALL of your best images that are yours to keep, print & download! My newborn photography is geared towards lifestyle/portrait photography- capturing your precious bundle in their nursery space, snuggling with mommy and daddy (and siblings/pets), as well as some beautiful portraits focused on just your new baby! **JFP no longer photographs babies posed on bean bags or with any other additional props. I want to capture real life in your home. Includes a 60 - 90 minute session and an online viewing gallery with ALL of your best images that are yours to keep, print & download! There are very few things more raw, important and emotional in life than having a baby. For a lot of moms and parents the first couple of hours and days after delivery can be a blur because of all the changes, actual labor and post delivery. I want you to remember how beautiful the two of you looked as brand new parents. I want you to remember how it felt to look at your brand new baby and how fresh & new they looked just coming into the world. There’s nothing like it! Includes all of your images professionally edited, delivered on the Jessica Fowler Photography 8 or 16GB USB w/ boutique box. Package also includes an online viewing gallery to share with friends & family!